On the Louisiana leg of my trip this month, I picked up a few books on one of my myriad trips to bookstores, one of which touts itself as a new fairy tale: The Princess and the Hound. Author Mette Ivie Harrison, who is Danish by ancestry, holds a PhD in German Literature from Princeton; so with her background in Germanic and Scandinavian storytelling, it reads like an old-fashioned fairy tale. Which is what put me in mind of this topic. It took me forever searching for this one to remember exactly what it was about. But I remembered it because it was in a book of fairy tales that my grandmother used to read to us during the summers—and then which I read over and over once I could. It’s a Norwegian fairy tale collected by Peter Christen Asbjørnsen and Jørgen Moe in Norske Folkeeventyr. This is a tale of not only the youngest son winning the princess’s hand, but also of how persistence wins the day. A German fairy tale, first published by the Brothers Grimm in 1812. I can’t really say that there’s a particular moral to this story that makes it one of my favorites, but I’ve always been enamored of not only the idea of spinning straw into gold (what Rumpelstiltskin does for the girl which in turn so impresses the king that he marries her) or of the Faustian bargain entered into by Rumpelstiltskin and the girl (that she will give him her first child for spinning the straw into gold for her). When the child is born and he returns to claim his due, he gives her three days to guess his name. 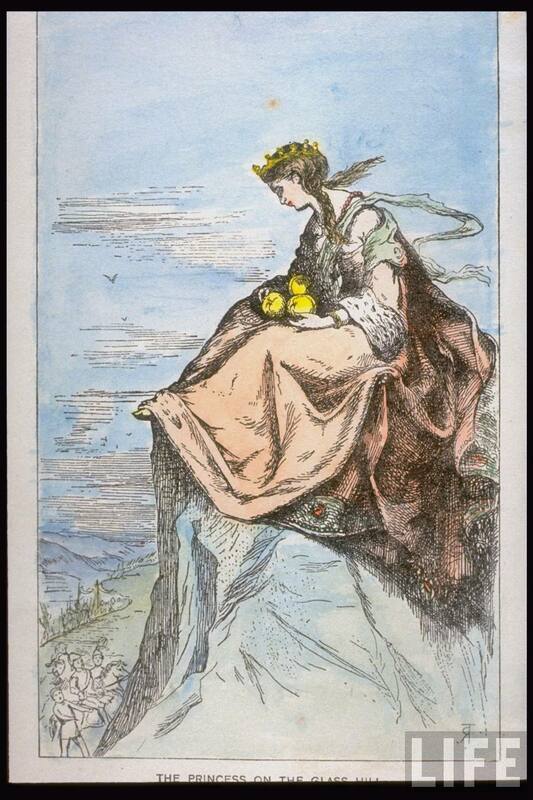 She stoops to subterfuge, but it’s a cautionary tale against being too proud of oneself—after all, it’s because Rumpelstiltskin is crowing about his pending victory (and using his name in the rhyme) that allows the queen to break the deal by revealing his name the third night. This is a lesser-known story from Hans Christian Andersen, but one that was in the same book as The Princess on the Glass Hill, so I think of it with much the same level of fondness. This one has the advantage of featuring dogs who save the day. According to Wikipedia, the roots of this story go back all the way to 1st Century Greece. But whatever its origins, there seems to be a Cinderella story in just about every known civilization. We’ve all dreamed of the rags-to-riches miracle—something to happen, someone to come to us, an unexpected windfall to land on us—to move us out of whatever oppressive lifestyle we feel we have. For women, this usually includes a very handsome (wealthy) man sweeping us off our feet. Of course, the way it’s presented in the European/American versions of the story, this happens only after the girl has made such an impression on him in the brief time they’re together at the ball that he can’t live without her. And of course, they lived happily ever after. Not to be confused with just plain old Snow White. This is another Brothers Grimm fairy tale, which is about a prince, who was cursed by a troll and transformed into a great bear, who is then saved by two sisters, Snow-White and Rose-Red. Why is this my favorite? Well, because in the end, both sisters end up married to princes. When I was growing up, we had a record that had the dialogue, sound effects, and music from the live-action version of a movie that I’ve never seen nor can I find any definitive information about it online (but this German version of it from 1955 is listed as having been dubbed in English, so that may be it). But I listened to it almost every night throughout elementary school, until I could practically quote it. I think I still have the tape that we eventually recorded the LP onto—I’ll have to see if I can find it so I can transcribe it before the tape disintegrates. What are some of your favorite fairy tales? Many of those are favorites of mine. I love the Andrew Lang “color” fairy books – The Red Fairy Book, The Lavender Fairy Book, etc. My favorite modern fairy tale is Stardust (both the illustrated novel and the movie versions). Oh, I love Sleeping Beauty. I love a hidden identity and a hero fighting to awaken his love! A good sigh-producer in my book! Hey! You changed the banner – like it, nice new picture too. I was trying to think back to fairy tales I was read as a kid and couldn’t think of any and I realized I wasn’t really read fairy tales. Books yes, but never fairy tales. I think my first introduction to fairy Tales was through Disney and their movies. Tinderbox is one of my favorites too! I have a book of little known fairy tales hidden so it doesn’t get destroyed by my kids and really need to pull it down. really hoping I’ll get to my story today. I had a completely new idea last night…but we’ll see how my day pans out! BTW, I absolutely love the picture in the banner! The new banner looks really, really nice. Excellent list. I’ve always loved fairy tales and their various retellings and reimaginings, both in book form and on film. There’s this old book of fairy tales with a green cover that’s sadly falling apart from use that introduced me to The Princess on the Glass Hill and The Tinderbox. 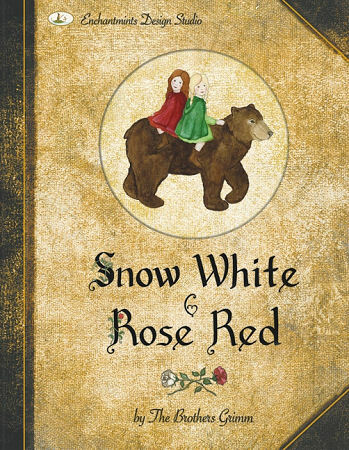 I used to have a gorgeous picture book version of Snow White and Rose Red which has sadly been lost (I suspect my mother accidentally sold it in one of her yard sales). I’ve never been able to find an exact copy to replace it. 😦 My all-time favorite fairy tale is Sleeping Beauty. I also really enjoy Beauty & the Beast, The Twelve Dancing Princesses, as well as the tales in your list. I’ve never read Snow White and Rose Red, The Tinderbox, or The Princess on the Glass Hill but like Alexandra, I love the Disney stories. When growing up I rarely watched TV or movies but I loved to read. To this day I still have the copy of Disney’s Beauty and the Beast book that my friend gave me in the second grade and the Beast stuffed animal is sitting on my bed! I remember begging Mom or Dad EVERYTIME we went to the store to buy me a book, and usually the Disney books like Sleeping Beauty and Cinderella were my choices. They were so big and colorful and pretty and were as close as I could get to the real movie so I guess that’s why I liked them so much…well that and the happy endings! 🙂 In a way “fairy” tales are still some of my favorite stories! I love the new banner! It really makes your eyes stand out! So pretty! Its funny that you mention fairy tales, because last month I was garage-saling with my mom, and I found a 1935 hardback edition of Grimm’s Fairy Tales. It is beautiful! I like old books, so this is really cool for me. I have read The Princess and the Hound. It was pretty good. Did you know another one came out called The Princess and the Bear? I plan to read it once my library gets it. P.S. Did you get my email? I sent my essay to you. If you did not get it, please tell me, and I will send it again. Also, I loved Tawny Scrawny Lion, it is a Little Golden Book. It is fitting that today of all days you mention “fairy-tales”! For you see today is my birthday! And just as fitting is my all time favorite fairy-tale is The Frog Prince! I like Cinderella best–and Rodgers and Hammerstein’s musical will always be one of my favorites. My favorite version is Leslie Ann Warren, because that’s the one I grew up with, and she sounds like an ordinary girl, just breaking into song. My favorite modern ones are Till We Have Faces, Deerskin by Robin McKinley and, of course, Stardust. Wow, you knew this would get a comment out of me didn’t you? Thanks to the previous commenter mentioning Harrison’s sequel: I’m totally on it! My favorite tales are usually the ones where the wedding (or match-up leading to a wedding) isn’t the end of the story. They don’t have to be married before the end, but they recognize their couple-ness and that awareness and/or (usually) cooperation affects the story from there out. Maybe it’s tipping my hand, but these are *such* favorites that they’re all (in my mind at least) going to be novels someday. Can that be a “brand”? Marriage stories rather than just romance stories? Cinderella ~ hands down. No matter how badly things looked, there was such a beautiful picture of perseverance, character, and hope….. and we know that hope does not disappoint. Ahhhh, the hope of heaven ~ the TRUE happily ever after. The Little Mermaid! HCA version and Disney version. Heck, I’m co-owner of a Little Mermaid message board for crying out loud! Sleeping Beauty comes next. Again, both versions. Real deal and Disney. Then The Princess and The Swans, The Ugly Duckling and The Tin Soldier. I’m a big fan of Hans Christian Andersen and have a complete collection of his works.